On a dark and bitterly cold December night in the year of our lord Twenty Eleven, four Midwestern troubadours converged at the recently founded poultry farm, which 3 of the men called home. The occasion: a celebration of the American folk music that had been lacking in their recent musical undertakings. Certainly, all of them were inspired by folk music and folk musicians, but in a community dominated by full stacks and drum racks, it was a nice change of pace to take out their ear plugs, pick up a kazoo or a jug and just blow. The group that was to develop out of these initial encounters would grow to include dozens of musicians. Some would become fixtures with the group others would come and go, and many would return if and when they could, all in an effort to share in a musical tradition that has real cultural and historical significance. The members of the Root Marm Chicken Farm Jug Band, after all, are not a particular or discriminating bunch. The music that they play is about having fun. It’s about more than just making money or gaining notoriety. In fact, the most intimate performances are the ones that take place on the farm its self, or on the streets of downtown Lincoln, where band members will gather to play for tips from passers-by. 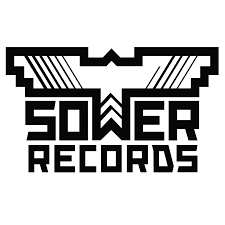 It was on such an occasion, in the summer of Twenty Twelve, when the group received its first big bump from the local musical community. Contributors to Hear Nebraska, an organization that is dedicated to promoting and celebrating Nebraska music, happened to walk by a performance, filmed it and then featured the Jug Band on their website, allowing the rest of the world its first glimpse at the elusive group of minstrels. Since their appearance on Hear Nebraska, the group has gained and lost members, performed at several local venues, and some as far away as Minneapolis, MN. In January of Twenty Thirteen, about a year after the group’s founding, The Daily Nebraskan’s Anna Gronewold wrote an in depth article, exposing the jug band to a even broader Lincoln audience. The band, with its ever-changing lineup has played everything from wedding receptions to fund-raisers. From the streets to the stage no audience is too big, no room to small, for a crowd to appreciate the wonders of old fashioned jug band music. 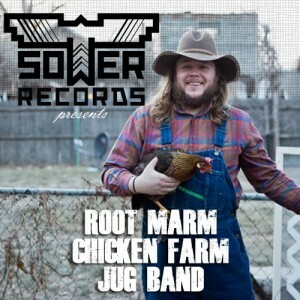 Like the rye whiskey that kept its founders warm on that first winter jam session, the Root Marm Chicken Farm Jug Band is sure to raise the spirits of all those who partake!